Apple Inc. planting fruit trees on their new campus! Adam over at Adam’s Apples posted a link today that I just had to share from one of America’s most loved and hated companies, Apple. This wouldn’t necessarily be news in my opinion except that Apple planting apples is somewhat clever and I’m a bit of a sucker for that kind of thing — like when I posted the comparison of Apple to apples a few weeks ago. The list of fruit trees is pretty impressive and they have chosen some tasty varieties. 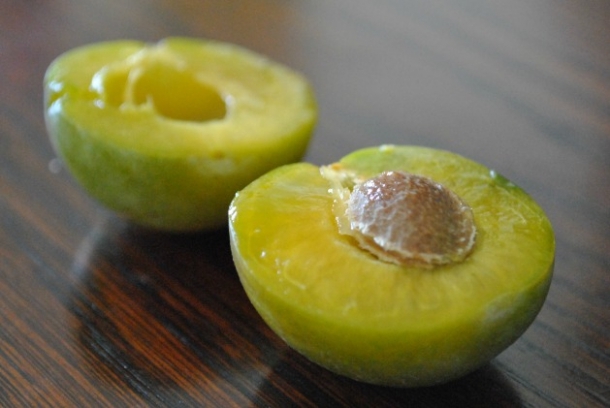 The Green Gage plum, which I have tragically only tried once at a fruit tasting, has been said to be the favorite and most delicious fruit in the world by pomologist and self named Fruit Detective, David Karp. I would assume he has tasted literally thousands of varieties of fruit. I know for a fact he has had at least 1000 types of citrus alone, which he told us on the tour at UC Riverside Citrus Variety Collection. So his opinion carries some weight. P.S. Speaking of apples, I can not wait to see Snow White and the Huntsman this summer. Charlize Theron is such a badass.